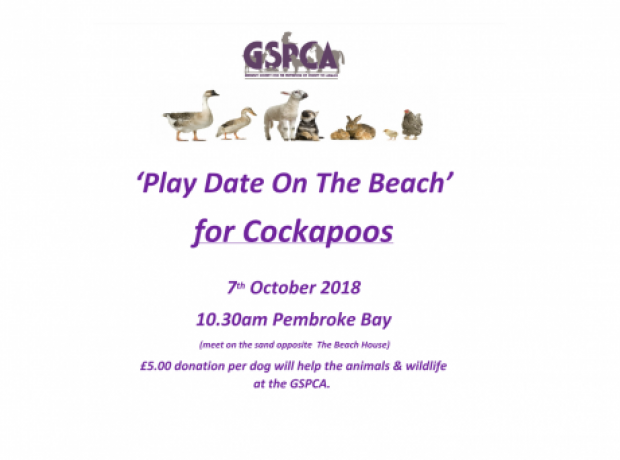 On the 7th October 2018 at 10.30am at Pembroke Bay a Play Date On The Beach for Cockapoos & friends in aid of the GSPCA is being organised. For those wanting to join in please meet on the sand opposite The Beach House where you will see a GSPCA gazebo. It is a minimum £5.00 donation per dog which will help the animals and wildlife at the GSPCA and those rescued.